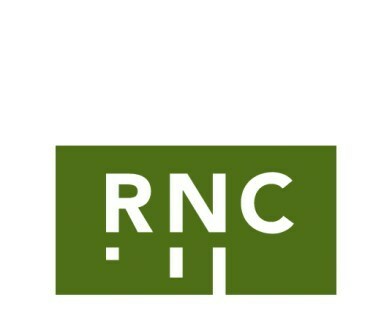 TORONTO, Jan. 18, 2019 /CNW/ - RNC Minerals (TSX: RNX) ("RNC" or the "Company") is pleased to announce that the syndicate of underwriters of its previously announced "bought deal" financing, led by Haywood Securities Inc., and including Laurentian Bank Securities Inc., BMO Capital Markets, Canaccord Genuity Corp., and Macquarie Capital Markets Canada Limited (collectively, the "Underwriters") and Red Cloud Klondike Strike Inc. as selling agent, have partially exercised their over-allotment option (the "Over-Allotment Option") granted by RNC for an additional 326,165 common shares of the Company at $0.46 per common share for additional gross proceeds of $150,035.90. The exercise of the Over-Allotment Option increases the size of the previously completed "bought deal" and concurrent private placement financing to a total of 19,891,165 common shares of the Company for aggregate gross proceeds of $9,149,935.90. The securities offered in this offering have not been, and will not be, registered under the U.S. Securities Act or any U.S. state securities laws, and may not be offered or sold in the United States or to, or for the account or benefit of, United States persons absent registration or any applicable exemption from the registration requirements of the U.S. Securities Act and applicable U.S. state securities laws. RNC has a 100% interest in the producing Beta Hunt gold mine located in Western Australia where a significant high grade gold discovery - "Father's Day Vein" - was recently made. RNC has initiated a 40,000 metre drill program on near mine exploration targets focused on the Father's Day Vein area, results of which will be incorporated into an updated NI 43-101 compliant Mineral Resource Estimate targeted for Q2 2019. Beta Hunt gold resource potential is underpinned by multiple gold shears with gold intersections across a 4km strike length which remain open in multiple directions adjacent to an existing 5km ramp network. RNC also has a 28% interest in a nickel joint venture that owns the Dumont Nickel-Cobalt Project located in the Abitibi region of Quebec which contains the second largest nickel reserve and eighth largest cobalt reserve in the world. RNC owns a 35% interest in Orford Mining Corporation, a mineral explorer focused on highly prospective and underexplored areas of Northern Quebec. RNC has a strong management team and Board with over 100 years of mining experience. RNC's common shares trade on the TSX under the symbol RNX. RNC shares also trade on the OTCQX market under the symbol RNKLF. This news release contains "forward-looking information" including without limitation statements relating to the success of the bought deal financing and use of proceeds therefrom, liquidity and capital resources of RNC, production guidance and the potential of the Beta Hunt Mine as well as the potential of the Dumont development project and Orford Mining's Qiqavik and West Raglan exploration properties.